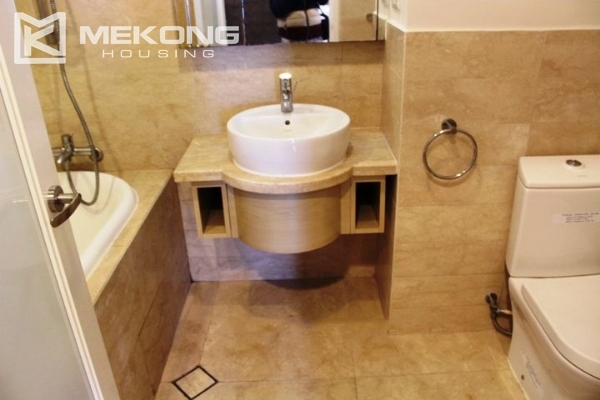 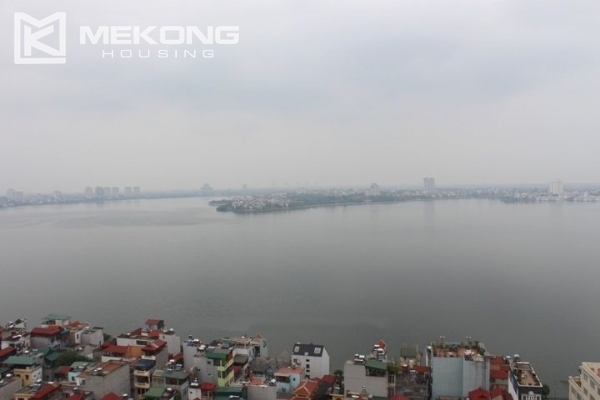 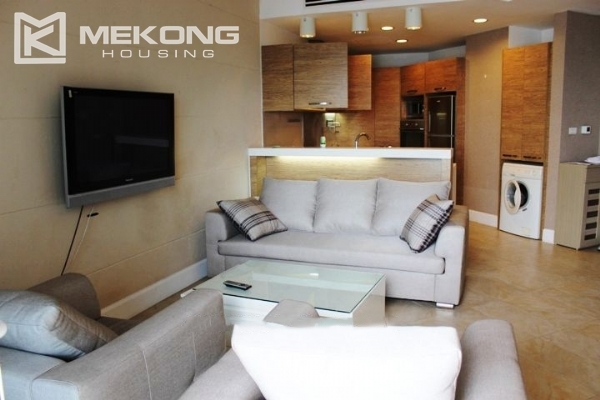 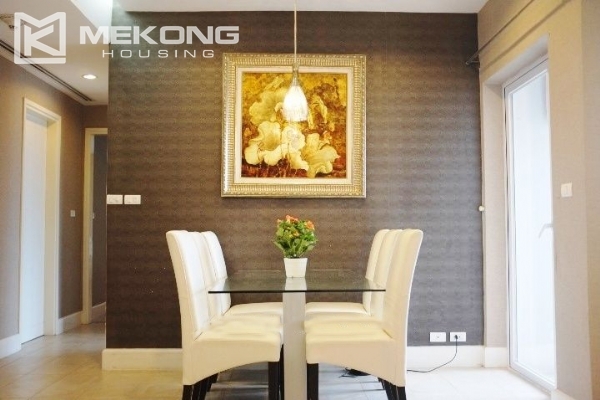 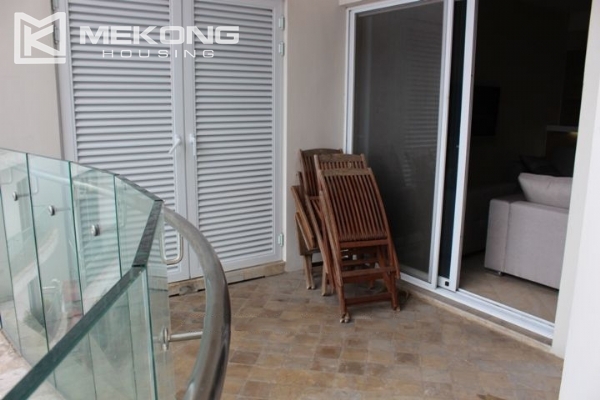 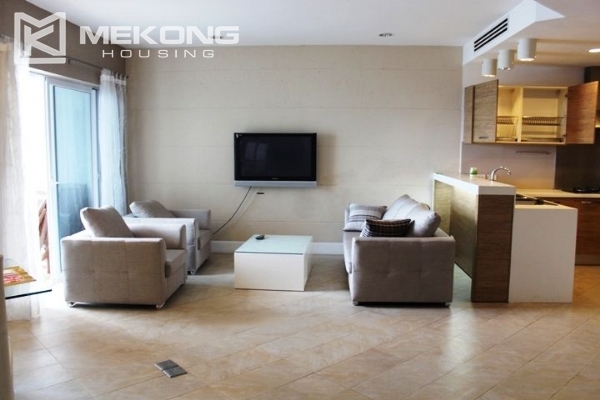 This apartment has total living area of 117 sqm, located on a high floor with great view of Westlake in Golden Westlake Hanoi. 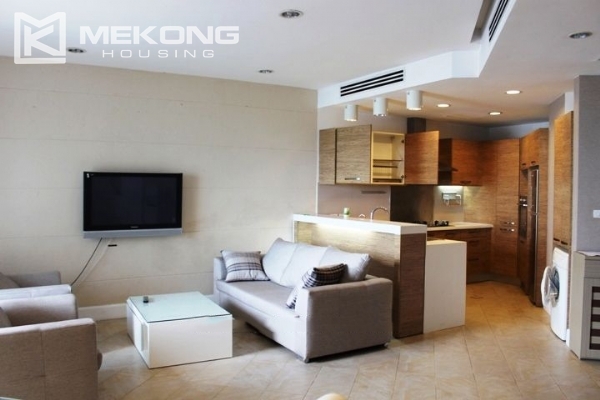 The apartment is composed of a spacious living room combined with dining area with a large balcony, a modern and full equipped kitchen, 2 cozy furnished bedrooms, 3 bathrooms with bathtub and shower. 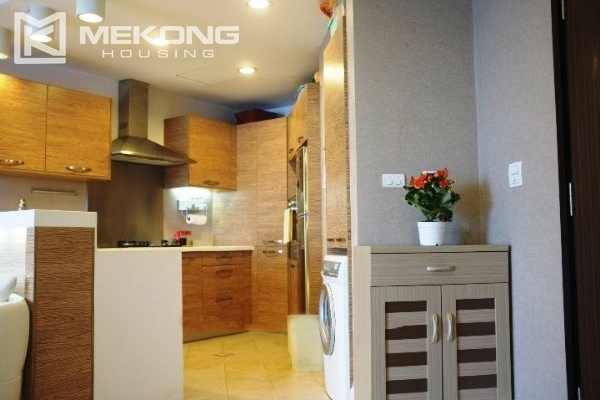 It is fully furnished with modern furnishings and equipment like sofa set, kitchen utensils, washing-machine and dryer, dining table with 6 chairs, and a desk are provided for your comfortable life.